Around Christmas, I rummaged through the books of my childhood and youth and picked out one about the feats and tragedies of the intrepid explorers who had once roamed the arctic and antarctic regions. I read it again and was as thrilled as I had been many years before. The odd coincidence is that just one week later the heating in my living room failed and it got quite inhospitable. I was angry and cursed the whims of fate and all the heavenly powers. A string of names, however, still resounding within my mind silenced me. 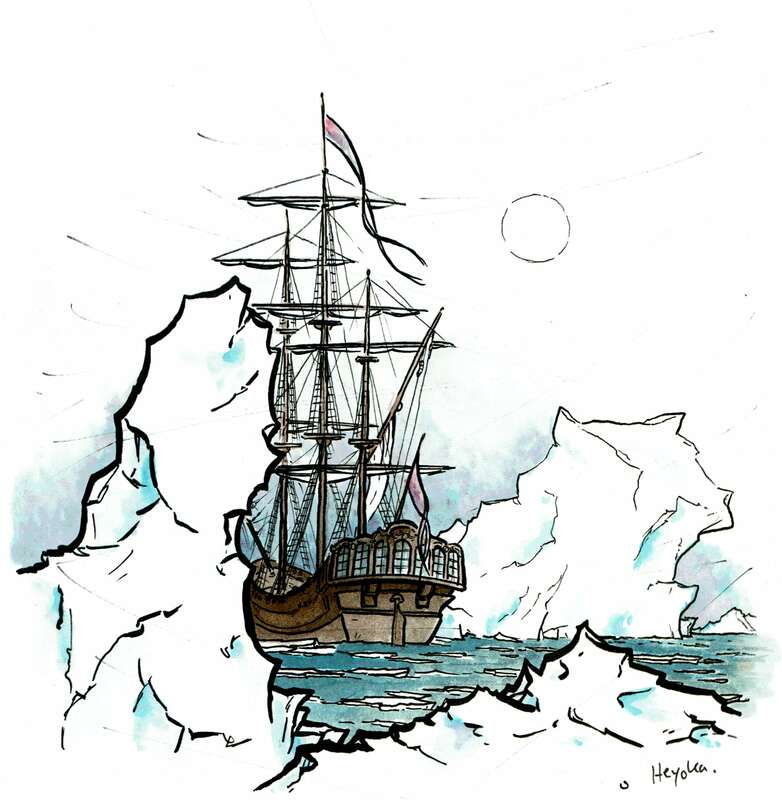 Thinking of Hudson, Bering, Cook, Ross, Bellinghausen, Franklin, Borchgrevink, de Gerlache, Greely, Nansen, Shackleton, Amundsen, Scott and all the other explorers and their companions and remembering their hardships made the room feel rather warm and snug again (and I myself felt boyishly co-heroic).